A Paul McCartney Multimedia Extravaganza with original films, animation, stories and a live concert celebrating the life and music of Paul McCartney! 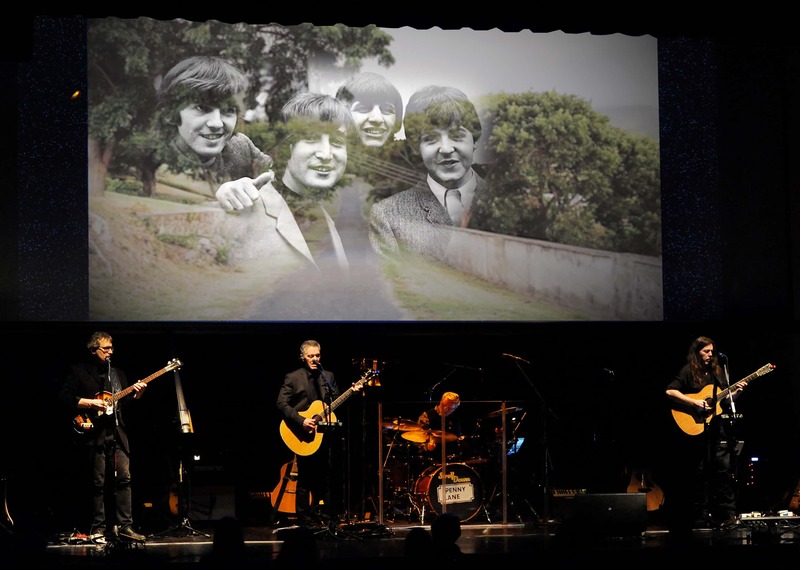 Show Description: Stroll Down Penny Lane is a live performance with beautiful accompanying films of the music of the most iconic songwriter of our age: Paul McCartney. The show includes songs spanning McCartney’s career – from early influences, to the Beatles, through the Wings period, and beyond. You’ll also hear songs that have never been performed in concert – anywhere, by anyone! Live, in concert; experience McCartney’s music and influences, from early rock and roll – like Little Richard – until now, spanning sixty years of music. Explore the ballads – a form McCartney adopted when he was a teenager. He became its acknowledged master – no one else in the world can compare. At the heart of the show is an amazing band paying tribute to some of the most amazing and beloved music of the past 60 years. The musical experience is enhanced with stories, evocative images, a musical education of sorts, and animation. Stroll Down Penny Lane will play at the JaM Cellars Ballroom in Napa, California. Don’t miss this incredible tribute to Paul McCartney! Tune into The Vine to win tickets!